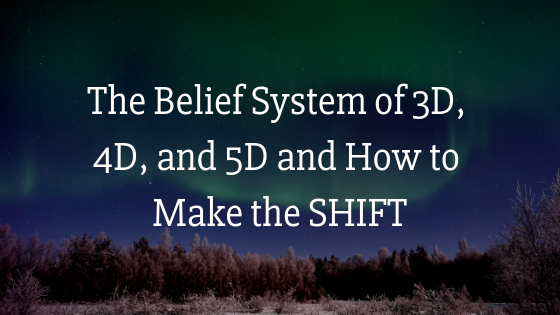 Today, I'm going to be sharing with you the belief system of 3D, 4D, and 5D levels of consciousness, and I'm going to show you how you can easily make the shift into a higher level. Today, I'll be sharing with you the difference in the belief system of being in what is called a 3D level of consciousness, a 4D level of consciousness, and a 5D level of consciousness. The reason I'm going to share this with you is that right now on the planet, there are these different perspectives, these different levels of consciousness that are all available to us right now in the present moment. Now, first off, let's just recognize these as different rates of vibration that come with it, different perceptions. In general, what is happening on the planet right now is there is a shift in vibration that is happening and the 3D reality is still an option. The 40 reality is an option. The 4D reality and option almost like you can think of it as a lens through which we can see the world if we choose it. The idea and the truth of the matter are that it's not so much that when we ascend to a higher level, we go to some other separate location that's away from where we are. It's more so that as we raise our vibration, we then perceive of a reality that is equal to that level of belief and that level of being so getting into higher states of consciousness is not about going anywhere other than being here right now. I say that because as a lot of people go through this transition, the way that we interpret it, sometimes we'll get these, these may be these dreams or these visions that it has to do with going somewhere else. Even back in 2012, it was a very popularized way of going about it thinking, oh, this is where we are at 3:43 d level of reality. We're going to go to a 4D. We're going to be a completely different place. We're going to go somewhere else and it's more so about understanding that these are all available right now and we shift through them without even knowing it. There are times you're in a 4D level of existence or a 4D level of consciousness. There are times you may get triggered. You may watch the news and get pulled back into a 3D level of consciousness, and there are times that you may be in a 5Dlevel of consciousness. It all fluctuates depending on your state of being and your level of consciousness at that moment, but what you can begin to do is train yourself to be in these higher states of consciousness. Let me give you a general overview and then we'll get into the specifics of Egypt belief so as you can see where you are and how you can move up the scale. To look at this, let's see, 3D, 4D, 5D, 3D, level of consciousness is an identification with form 3D level of consciousness is about duality, good, bad, light, dark up, down. This is duality and this is also a reality of control because on the planet right now, certain systems are in place that keep people in a level of control. The financial system is one of them. The real power is with the people. But the thing is if you control the focus of seven and a half billion people, it didn't, creates a certain timeline. When we look at this, what we see is that there's a certain level of control that may be happening. I keep people in the 3D level of consciousness because the 3D level of consciousness we'll also have within it lower vibrational states of emotion. Shame, fear, guilt, anger. If we keep people trained in those vibrations, they stay in the 3D reality. Therefore, reinforcing that and then from that point it just keeps the level of control in it, so 3D level of reality is identification. It's thinking this is who I am. It's when we grow up thinking that we are a body or we emphasize the ego and it's also the dream of separation. It's where we believe we are separate from everyone else and it's a funny thing sometimes. Sometimes I'll notice it like when it comes to sports teams. For example, I was talking about this the other day when it comes to sports teams. Somebody that likes the raiders and somebody that likes the rams, for example, they may be at a football game and they may dislike each other and they may even want to fight each other because of their positionalities of what team they're on and how passionate they are about the sport. The truth is these two people have so much more in common than they even can imagine because they both liked football and there are many other people on the planet that don't even like football. The point of that is understanding that whatever we emphasize if we emphasize separateness, we create more of that. Instead, look at what we have in common because we have a lot more in common than we can imagine. We could even look at that. Have a. We could look at that of race. This is my culture, that is your culture. I am this color, that color, and we can emphasize that difference in color. But if you are on a different planet where there was gentle like beans and there was like floating jellyfish and there was all of these different animals and things that would be so different than you, you would look at that other person and be like, I recognize you. Please come. Let's go do. Let's go through this together because we have so much in common. But you see it's all relative. We're all floating on a planet. We have so much more in common than we can even imagine, but yet we set. We like to emphasize the separateness because that's how we've been wired, but that is the belief system of a 3D level of reality, 3D level of reality. We think that we are our ego, not aware always that we are immortal, spiritual beings live in temporary human experiences and part of the purpose of life is to wake up to who we really are, to wake up out of the 3D identification and realize, hey, I'm way more than just this. There is so much more to life than just this. And as we become aware of that, we start to expand ourselves and then as we expand ourselves, we start to see things with more awareness because we realized that this is just a dream. It is a dream. His identity identification with form and it's who we think we are, but it's not really just who we are. But part of the purpose of 3D reality is to wake up. It is to learn to observe the thoughts. Third, to learn to observe the ways we may get triggered because you cannot solve a problem from the same level. The problem was created as Einstein said, in the same way, you cannot transcend 3d by being entrenched in 3D, you must learn to observe 3D. You must learn to observe your thoughts and know that the thoughts are not who you are, but in the 3D level of reality, you think that the thoughts you think are your identity. The things that have happened to you in the past is your identity, so identification is the belief system of 3D reality. Separation is a belief system of 3D reality. Labels are a 3D system of reality. Desire is a level of 3D reality I'm hearing I really want to get over there. That is a 3D level paradigm. There are high levels of paradigm where you could still manifest, but in the 3D level of reality, that's where it mostly stays in this desire. This longing always wanted them to be somewhere else, not wanting to really be in the present moment and another thing when it comes to the 3D level of reality is linear time space, reality. There's a big emphasis on it, not that it doesn't exist in 4D. however, this time-space, the linear reality is like, this is my timeline. Then this happens in the past and then the past over here and the future is over here. If there's an emphasis on it now, this is all 3D level of reality. What we're doing as a planet, as we are waking up from 3D levels of consciousness and moving into 4D and 5D levels of consciousness. Once you can think of it as is the dream that we live in is transforming that back in the day. This is back in and just see if this resonates with you. If you ever read Dolores Cannon's books, call on what's called QHHT, quantum healing hypnosis technique where people are in the deepest levels of brainwave activity. Their higher self comes through and you can ask any question and they'll ask questions like, why did you incarnate at this time? Ask questions like the light is what is this relationship with this person, your life questions like, you know, what was the soul contract? All these different things that the higher self knows. Ask those kinds of questions. Her books are transcripts of those sessions with thousands and thousands of people. Thousands and thousands of people that have gone to her and have said that the reason they came to earth right now is to go through this transition from 3D to 4Dand 5D levels of consciousness because there's this quickening of vibration and as we go through this, we're able to get rid of a lot of Karma. We're able to really move in a quick way up the vibrational scale and were able to go through an immense transformation in a short period of time and we're doing it together. We're doing it collectively. In the past, you may have had the Mayan civilization that ascended their vibration out of into a new level of reality. We're all doing it together and we're staying on a planet for this. We're staying is a physical type thing as well, so we're going through this transition and what happened was is there was a call that was sent out back in the 1940s, 1930s, a call into the universe that said, we need lightworkers here. Earth Gaia needs help so that we can begin to change this planet. The thing is there's free will here and you forget who you are when you're born here. There are other planets where you may go and you may remember who you are and then maybe a higher vibration where you just always remember that you are unconditional love and bliss. There was a certain level of control over the planetary of how everything goes and what happened was is this call was sent out and one of the triggers for it was a nuclear bomb because when a nuclear bomb goes off, it doesn't just affect our reality. It ripples out and it affects other reality systems and that's not allowed because we can do whatever we want within our own free will, but if it starts to influence other galaxies and the universe is like that, then that it becomes something that needs to be dealt with. This call goes out lightworkers, high vibrational beings, many different forms of souls. A lightworker from a higher dimensional state of consciousness decided out of compassion and love that you would come to earth to help make this transition. Because here's the thing. It's not like we can just as a higher dimensional being influenced this reality and do all the work for us. In order for us to influence it. We must incarnate within the reality system itself because that's how it works. We must forget who we are. Come here. We knew it was going to be a little bit more difficult because we were going to forget, but then we're going to go through the process of remembering, so we decided to come here. Then what happened is we came here, we have forgotten who we are. We go through these challenging. We're waking up. Again, if you're reading this blog right now, you are waking up out of the 3D and into higher states. 4D, 5D level of consciousness and 5D level of consciousness is where most of us chill much more at the time. It's just a very temporary thing and we're moving through this transition right now and over the next 10, 20, 30 years, whatever it is, a lot of stuff's going to change on the planet for the better. Some of it will appear to be worse at first because it's old systems breaking down, but nonetheless, we're moving out of the 3D and 4D. Let's look at the 4D level of reality. 40 level of reality could also be considered more of a dreamlike state. Some people would consider it the astral realms. When you think of 4D reality, think of things more in terms of vibration. In a 4D level of reality, there is also more flexibility. The belief system would be more flexibility and time and space. Instead of saying this, things happen linearly in 3D, we say things are beginning to happen more now. You can begin to play around with time. You could say, oh, I'm running kind of late for this thing. Instead of rushing to get their trust, the process and simply visualize you. Getting somewhere on time works like magic because time, the more identity we give, the time and the more emphasis we give, the time, the more time we create a 3D level of reality, 3D level of consciousness. The belief system of 3D. reality is I am a victim. Things happen to me. The belief system of 40 level of reality is you start to realize that you are a creator of your own reality and if you're watching my videos on YouTube than you're already embodying a 40 level of consciousness more of the time because you are taking responsibility for your vibration, for your thoughts, your feelings, and your emotions. That is the key. You must begin to embody more of that understanding that you are responsible. You can say, well, all these things happened to me in my past, but they didn't happen to you. They happen for you and I get it because I had a childhood that was much more painful. I get it. I had to transmute that and the key is understanding to take responsibility for it because the one thing you have the responsibility of is how you respond to what has happened or what is happening. You can choose your response to it and choose the meaning you give it. Maybe it was a negative thing, but what you do is you see it as a way of something you could have grown from something that made you stronger, more powerful. A lot of the most negative things that have ever happened to me growing up or whatever it was has made me so much more powerful because I transmuted it and I've seen it like that and the 4D level of reality. Things are more flexible. Life becomes much more of a dream. Think of Harry Potter. Harry Potter resonated with so many billions of millions or billions of people because it's closer to our true reality of things being magical and things being much more flexible, but right now we have an emphasis on 3D reality through the collective consciousness of seven and a half billion people or more. Therefore, we emphasize that magic isn't real, magic could be real, and Atlanta's times back in the day magic was real, but there was greed in Atlanta times and what happened was we ended up falling back down into a 3D level of. We ended up falling back down into a 3D level of consciousness, but now we are redoing that and raising our vibration backup. 4D level of consciousness is when you may begin to play with crystals, you may understand geometric form. Everything is geometry. You may begin to understand that time is more flexible, that when it comes to this process, it's more about vibration. You are a creator of your own reality that is 40 level of consciousness and as you realized that life is more of a dream, the more you realize that the more your life becomes a dream. Have Fun with this process. Allow things to be. Watch how your life begins to change. The 5D level of consciousness is also an option. 4D level of consciousness is actually beyond that. A belief beyond that of reasoning. This is when you get into being. This is when you understand that everyone is connected. The belief system of 4D reality is that we're all one and we are all connected 4D is there still a little bit to duality, but it's more flexible, good, Bad, light, dark. It's still there, but we have a little bit more awareness. Awareness is what raises us into these higher states. 4D is the awareness and knowing that you are connected to everyone else. You come into contact with, you have a connection whether you realize it or not and when you see other people as extensions as yourself, you then treat people in a new way. You didn't realize that they're not so separate and you start to see things as more of what you put out is what you get back because what you do to someone else you do to another aspect of yourself. However, in a 4D level of reality, you start to let go of labels. I remember listening to Sadhguru's experience who's like this enlightened guy from India and when he went through is a lightening experience. He was on top of this hill and he could not see where he began and where he ended. He dropped the identity, the vessel of separation, the vessel of the identity of labels. He dropped it and he realized that he is everything. When you transcend three, 4D reality, it's about realizing that you are not just this avatar body. You were not just the drop in the ocean. You are also the ocean. A drop. That's the 4D level of consciousness so you become more present to the moment. You just are. Everything is happening now. We are moving into that as we go on and there is more opportunity for us to be in that be present to the moment. You can become aware of the beliefs you have. You can become aware of the thoughts you have, but begin to let them go. This is when you move out of reacting to the environment. 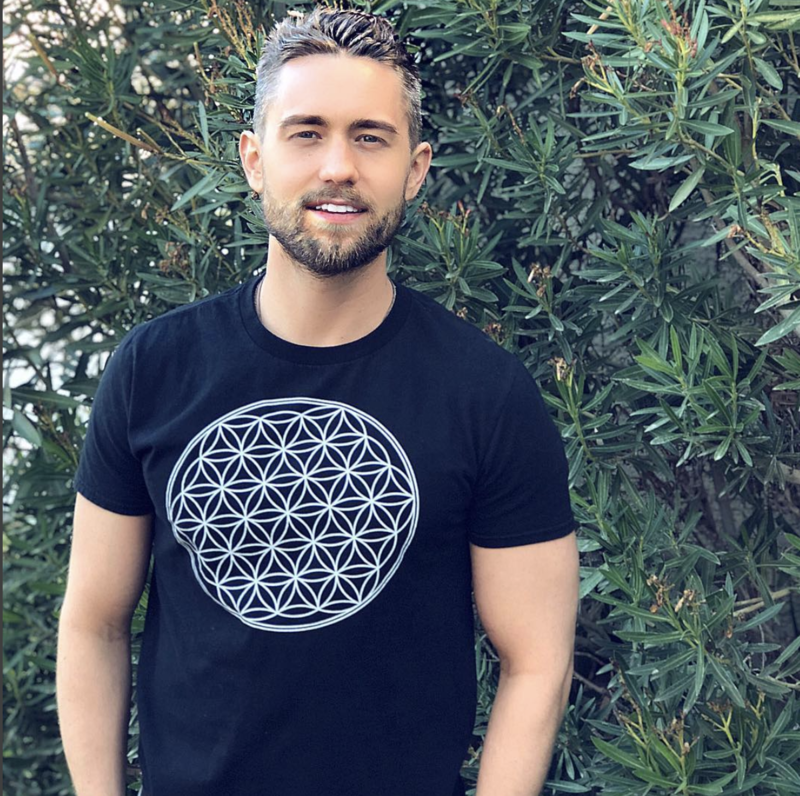 When you move out of the desire and you realize that everything is perfect as it is, this is also when you begin to let go and surrender and in the 4D level of consciousness, there's an awareness that you are divine, you are divine lights, and you can allow this to kind of shine through you. You can allow yourself to embody more of this life and understand that what you do to someone else comes back to you because you start to in a way live within the universe itself. You allow the universe to manifest through you. When I make these videos, the only reason I can do daily videos on YouTube is that I get into a flow state and I allow it to flow through. Are you saying that your 4D level of consciousness? I'm saying that in a 4D level of consciousness, I begin to identify with these forums so it doesn't matter because there can't really be eagle there for it to work. It can't be like, I'm going to get into the 4D level of conscious, distinct grow on subscribers on YouTube and get more people to listen to me. No. It has to be a divine intention. This in five days when we begin to align with the divine line with the divine, I like that. Being aligned with the divine. Being here now in being unconditional love, you are connected to everyone else, is more in your heart center, create from your heart. I have meditations for creating from your heart as well that will help you with this process. These three perspectives are here right now. You can choose to be in 3D and I said shoes, but you will feel like you're a victim in it and you'll feel like you don't have a choice, but don't listen to the news so much. Don't watch the news. Be aware of how you feel around certain people. Begin to observe the thoughts. In 3D, you didn't begin to move into 4D where things become more of a dream. You want an easy way to raise your vibration, have more fun. See things as flexible things, see things as a form of dream, be in the present moment, and understand that as you take responsibility for your life, you move into a higher state of consciousness and then you can eventually observe your beliefs and then you can let them go and you will then be in a 4D level of consciousness. Being present to the moment, aligning to the divine, understanding who you are. We're all going through this shift together. We all have options to be in these states of consciousness right now. It is simply where are we vibrating and what do we choose? So, question for you, which state of consciousness do you think you're in right now and what will you do to let go of old beliefs or to let go to in, to be in the higher states? Go ahead and leave a comment below. Let me know where you are because maybe I'll make more videos on showing how to go from this to this to this. You let me know. Also, I have a meditation that will help you to raise your vibrational set point. It is the meditation that allowed me to move from 3 to 4 to 5D levels of consciousness.